The 72,000-acre Valentine National Wildlife Refuge lies in the heart of the Nebraska Sandhills, a vast area of grass blanketed sand dunes. Lakes, marshes and rolling prairie meadows provide habitat for many kinds of wildlife and are an important stopping ground for migratory birds like sandhill cranes pictured here. 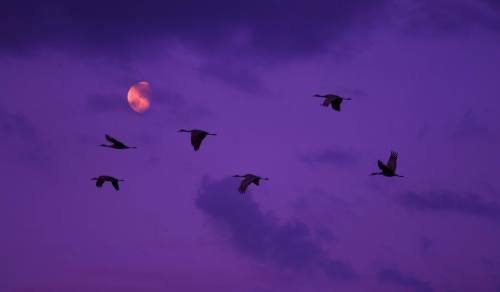 Every year, hundreds of thousands of sandhill cranes congregate on the Platte River during their spring migration north. It’s a must-see sight – mid-April through early May is a great time to see the birds at the @USFWS refuge. Photo by Juancarlos Giese, USFWS.